Impact investors, asset owners, investment and fund managers are activist investors who identify and assess impact investee companies that in turn need to communicate their company commitment towards SDGs through KPIs as impact is becoming the 3rd dimension after risk and return to profile a targeted investee . The conference will help address and assess the gap between supply and demand in both traditional and mainstream impact segments. 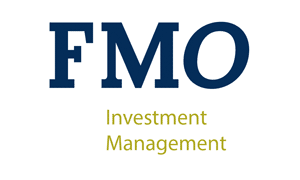 Among the speakers will be our Yvonne Bakkum, CEO of FMO Investment Management. ESAFON is an independent non-profit Swiss Association created 17 years by two partners Anne & François Golbery with the sole objective to drive the impact agenda forward and encourage private and public investors to use impact investment to enhance financial and social returns, better manage risks taking into account externalities and engage stakeholders within the impact ecosystem while preserving the interests of investees. ESAFON has launched a Swiss Impact Initiative with the objective to gather expertise to scale impact globally from Switzerland. This implies to transform the Swiss Impact Investment Ecosystem including private banking, philanthropic foundations, family offices as well as pension funds and life insurance/re-insurance to drive economies of scale and collaboration amongst investors, intermediaries and investees. ESAFON is a Member of the World Alliance for Efficient Solutions set-up by the Solar Impulse Foundation sourcing 1000 Investible solutions to bridge the gap between economy and ecology & fast-track clean global economic growth.